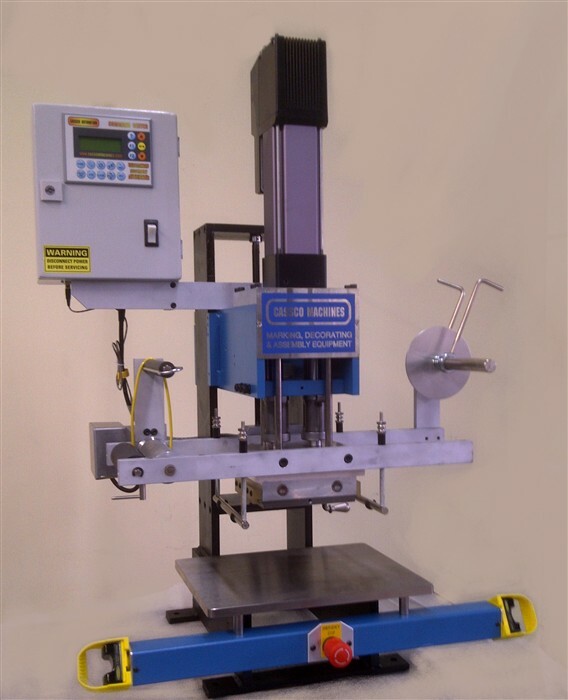 Cassco Machines offers a line of All-Electric Servo Presses for both Hot Stamping and Heat Staking/Insertion with huge energy savings, unmatched precision, multiple program storage and unparalleled reliability. It's Payback Time! Cassco Servo Actuated Presses offer unsurpassed speed, multiple motion control cycles, program parameter storage, easy operation and huge energy savings! Choose from 1/4 to 20 Tons for Hot Stamp, Heat Transfer, Heat Stake an Heat Insert applications. Let us show you the energy savings over air and hydraulic powered systems. Fast payback means everyone sees a little more green. Let Cassco provide you with the control, simplicity and energy savings you need!